For F&W's March issue, food critic Tom Parker Bowles visited the Aman Canal Grande, Venice's incredible 16th-century palazzo-turned-hotel. Here, four of the restaurants that made him fall in love with the city. A wine bar about the size of my bathroom at the Aman. 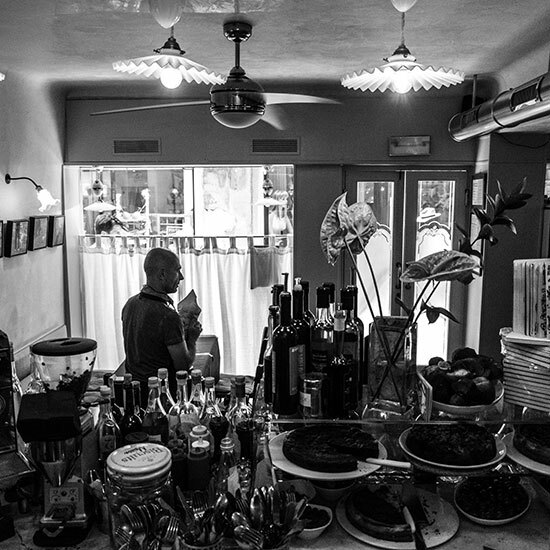 A radio trills quietly, and on the bar sits a plate of wondrously creamy baccalà mantecato (whipped salt cod) and chewy bread. San Polo 436; 011-39-041-520-5666. Under hanging hams and surrounded by wine boxes, I feasted upon a pair of luscious and pert red mantis shrimp, a star of the Venetian lagoon, so fresh they still sing of the sea. Strada Nuova 3689; 011-39-041-522-8258.